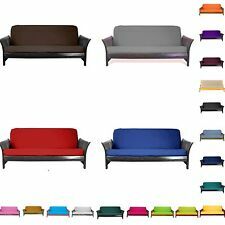 Solid Upholstery Grade Futon Cover Choose Size & Color! Solid Microfiber Suede Futon Cover Choose Size & Color! Futon Sofa Bed Plans DIY Lounger Couch Sleeper Furniture Building Woodworking This is a very easy design to build. Great for a extra bed when needed. I will email you a PDF to the email address you provided to PayPal so you can print them out any size. If you wish hard copies on 8 1/2 X 11 paper mailed to you as well please indicate this when you purchase. All plans are designed by Ben Stone. Ben is a retired Engineer in Canada. Ben also drafts these himself using the latest AutoCAD software to ensure accuracy. He studied Engineering back in the early 1980's. After over 30 years in the Construction industry he developed a passion for building cool items around his farm and cabin. He is sharing these with the world for $10 each. These are great DIY projects. With a little skill anybody can Do It Yourself. English Folding Futon Mattress "Bed in a Bag"
Sis Covers Birch Bark Futon Cover. Zipper closure. COLOR: Off white background, Brown print. SIZE: Full. Type: Japanese Futon Mattress. Comfortable sleeping with three layer structure with solid cotton. Weight: about 2.00kg(padding). Washable, always clean. Style: Six-fold three layer. Language: Japanese. TEIJIN Futon Mattress Family Size 220 200 Family LL Size. Size Outside size: Width 220x length 200cm. ・ Loose spacious wide size. ・ Size that can sleep well in 3 persons. Remarks [Made in Japan]. Weight of filling: 4.9 kg. For sale is a PRESTIGE FULL SIZE FUTON COVER see pictures. Sis Covers Cubana Futon Cover. COLOR: White background, Light Blue, Light Green, Tie Dye Floral pattern. Zipper closure. SIZE: Full. Sis Covers Faux Bois Futon Cover. Zipper closure. COLOR: Beige background, Brown Wood print. SIZE: Full. Just put the hose on the futon, futon drying machine colored mat for unnecessary it is. If you use manual mode, futon dryers in addition to wider range of applications such as shoes and clothing. Allowing to double size futon bed dryer (FK-C1) so far more air flow and output both 120% power. The fabric is subjected to a peach skin processing, touch is also soft. | [Quilt] about 170 × 210cm (1.5kg) Stuffing: Hollow polyester cotton 100%, Fabric: 100% polyester (peach skin processing) | [mattress] about 120 × 200cm (2.7kg) Stuffing: Hollow polyester cotton 100 %, fabric: 100% polyester (peach skin processing) | [pillow] about 43 × 63cm (0.5kg) Stuffing: hollow polyester cotton 100%, fabric: 100% polyester (peach skin processing) | [storage case] about 120 × 70 × 25cm, non-woven fabric, zip closure [producer] all made in China. EMOOR's Tatami mattress is light weight and foldable in three to match contemporary life. Tatami Igusa Mat . - Tatami is a traditional Japanese flooring mat, made of straw or other materials as base with tightly woven natural rush (Igusa) on surface. 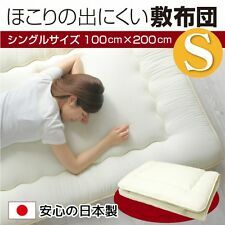 It is a Japanese-made wide-size mattress which can be used extensively by three people family. You can sleep together with a single mattress even if you do not arrange a cushion mattress. Three-layer mattress firmly filled with solid cotton. Material: Front fabric = 100% polyester, Back fabric = 100% polyester. Electronics:Japan Usage Item. This is an imported item from Azumaya Japan, and s hip from California, USA. This is aKotatsu Futon as a blanket or cover which use with a kotatsu heater table. Kotatsu table is a Japanese style heater table. Evenly can dry the whole futon only by inserting a hose, it is a futon dryer. lightly since the smaller also moving preparation Easy, storage does not take the space. Iris (IRIS OHYAMA). 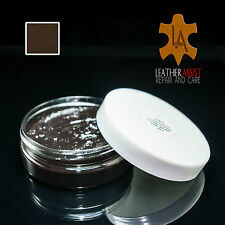 Product Size (cm): width of about 16 x depth of about 14 x height of about 36. 100% Cotton Shiki Futon. For centuries, the people of Japan have had to make the best of the little space available. The average family had one room, which served all purposes-eating, sleeping, working, and living. Evenly can dry the whole futon only by inserting a hose, it is a futon dryer. lightly since the smaller also moving preparation Easy, storage does not take the space. Iris (IRIS OHYAMA). safety devices: temperature sensor thermostat temperature fuse. Antibacterial, which is simple and cotton quality fabric that seems to be EMOOR. It is a reasonable mattress that adheres to the inner cotton and the material of anti-mite /. 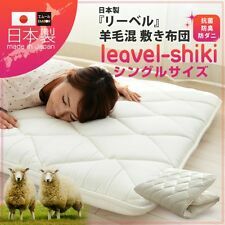 Type: Mattress(Shikifuton). Peace of mind and clean! Because that can be washed in the washing machine, you can use it always clean. body weight: 1.4Kg. Japan Usage Item. Sis Covers Python Futon Cover. Zipper closure. COLOR: Black background, Black,Blue, whitesnake skin print. SIZE: Full. ★ Use fine French wool. ★Wash wool with natural mineral-rich natural water. ★Natural antimicrobial and deodorizing function by wool. I live in the Kansai region in Japan. Ｍade in Japan. ★Prevent coldness of the floor by entering the cotton. It is our pleasure to provide high-quality Japanese products to the world. Size:Width 100 x length 210 cm (single long size). Wound cotton weight: about 2.0 kg. We try our best to send it to you! ・Futon cover: 90 cm × 120 cm. ・ Futon: 85 cm × 115 cm. ・ Pillow cover: 28 cm × 45 cm. ・ Pillow: 28 cm × 39 cm. ・ Carry bag: 70 cm × 45 cm × 18 cm. ・ Mattress cover: 70 cm × 125 cm. A futon, which has its origins in Japan, is a quilted mattress that can be rolled out and enjoyed as a bed, and also includes a type of sofa that may be unfolded for sleeping. It is a practical piece of furniture that serves a multitude of functions for bedroom, living room, office, den, or porch. The futon mattress is available to suit a diverse range of bedding and decorating options. Do futons come in a variety of styles and sizes? Futons are a versatile piece of furniture. They can be a minimalist mattress that can be unrolled, and they can also include a structured frame, often made of wood or metal. These frames can be styled as a sofa, chaise lounger, ottoman, or loveseat when upright, then laid flat to make up a bed. Both futons and futon frames are available to accommodate twin, full, queen, and king size mattresses and bedding options. What are some methods for selecting a futon mattress? Size of mattress - Select from twin, twin extra-long, full, queen, king, and California king. Mattress style - Do you want a roll-up traditional Japanese mattress or the type that may be incorporated for use with a frame? Frame - Choose a style from a sofa, a chaise, a loveseat, or other design that may incorporate seating functions. Futon cover: If you want your futon to function as a sofa or seat, consider a futon cover and accessories, such as matching pillows. Some typical covers are comprised of fabric, upholstery, faux leather, or leather. Covers are available in an array of fashionable colours. Are futons available from a wide variety of manufacturers? Are traditional Japanese style futons offered? Yes, you can find authentic Japanese bedding, from the six-fold style to family-size. There are also all the accessories to complete your bedding system, including comforters, covers, pillows, and storage systems. What features does a futon mattress provide? As a bed or as a multi-function piece of furniture, a futon offers some features, such as ease of use and efficient use of space. A futon mattress is a choice for furniture that offers a myriad of storage options.